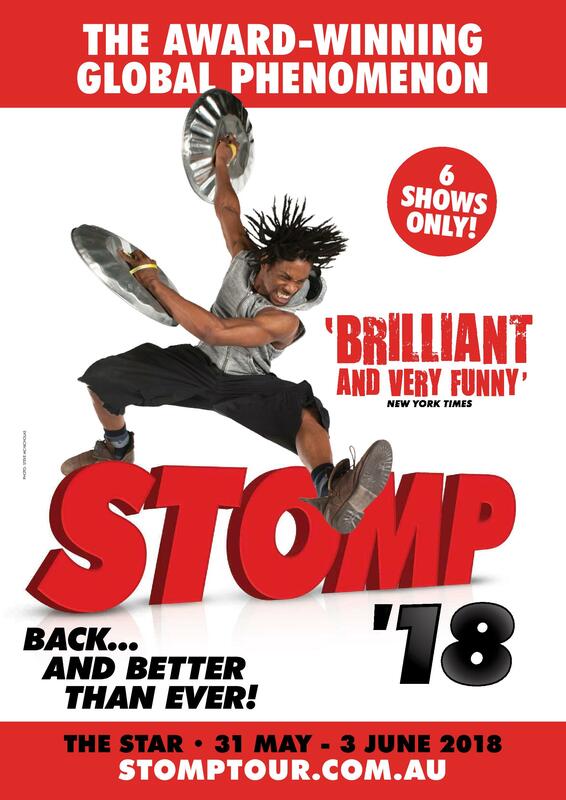 Following sell-out previous seasons, STOMP heads to Australia with its unstoppable energy and ‘pure stage magic’. Wordless, witty and fun, STOMP has become a global phenomenon over the last 25 years. Its universal language of rhythm, theatre, comedy and dance has resonated with audiences throughout the world, setting feet stamping, fingers drumming and adrenalin rushing for over 15 million people in 55 countries across five continents. Eight performers use non-traditional instruments – everything from supermarket trolleys to Zippo lighters, plastic bags to garbage can lids, and even the kitchen sink – to hammer out an explosively feel-good rhythm. Loved by audiences of all ages, this multi-award winning show is now in its 15th year in London’s West End, and its 24th year in New York. Come and see what all the noise is about!